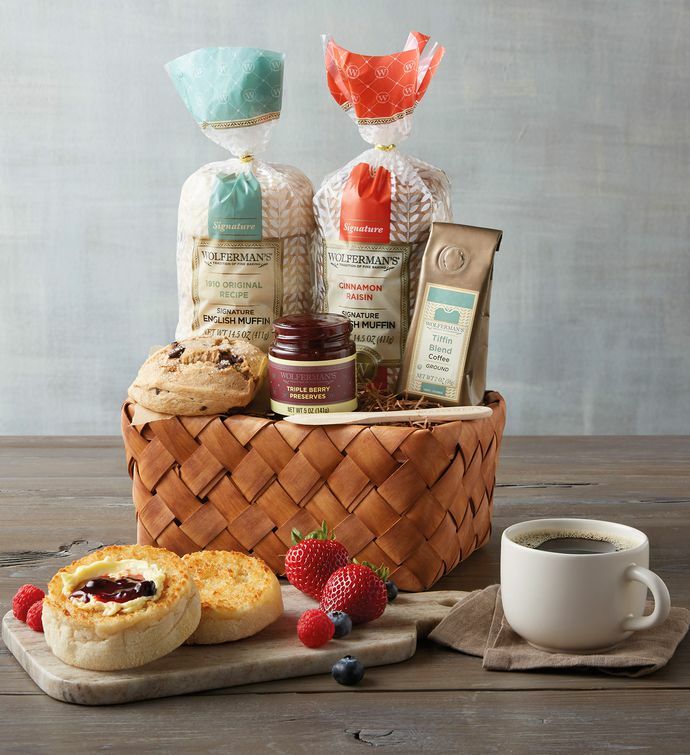 Delicious English muffins are the beginning of a great breakfast, and the English Muffin Sampler Basket offers the best and more. This delightful gourmet gift, presented in a chipwood basket, features our famous super-thick signature English muffins, a dark chocolate chunk scone, tangy fruit preserves, robust premium roast coffee, and a signature spreader. All gift contents are kosher.